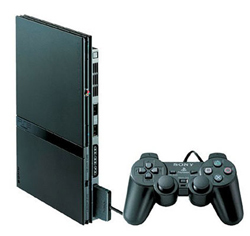 Nintendo may have cleaned up in console sales in 2008, but more US gamers spent their free time time playing Sony's "last-gen" Playstation 2, according to Nielsen Media Research. The PS2's leading numbers aren't terribly surprising considering Sony sold more than 140 million since the console's launch in 2000. Obviously those units didn't simply disappear once the console makers trotted out their new systems. The media beancounter's "usage minutes" numbers compiled between January and October 2008 also show Microsoft's Xbox 360 ahead of Nintendo's Wii in terms of time spent gaming. Sony's struggling PS3 console, meanwhile, got less love than even the original Xbox - but is mercifully spared the embarrassment of collecting less dust than Nintendo's aged Gamecube console. Note that Nielson doesn't disclose exactly how it came about those numbers (or why there's an extra one tenth of a percent in there), but we can safely assume it was done by polling. On the PC side of the leaf, it should shock no one that US gamers spent massive amounts of time playing Blizzard Entertainment's World of Warcraft in 2008. The numbers indicate that the gaming audience Nielson tapped for the study spent an average of 671 minutes - about 11.2 hours - per week playing WoW last year. Runner-up to WoW in terms of amount of time played was Activision's Call of Duty 4: Modern Warfare, for which gamers clocked up an average of 403 minutes - or six hours - per week. In third place was Halo , fourth was The Sims , fifth Sims 2 , sixth RuneScape , seventh Diablo II , eighth Team Fortress 2 , ninth Counter-Strike, and tenth Counter-Strike: Source .